CATUM is an engineering office for the development of wind energy converter, as well as wind energy system solutions and components. Our clients are wind energy converter manufacturers, as well as owners and operators of wind energy converter and wind farms. 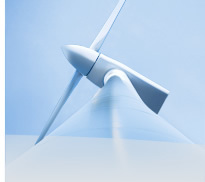 CATUM Engineering GmbH is a development service provider within the wind energy sector offering the entire spectrum of engineering services when it comes to wind energy. CATUM Engineering is focussed on solutions that facilitate the fulfilment of the specific individual requirements of our customers. Our work is only complete once the task set by a customer has been fulfilled.